Synopsis (from Amazon): Are the great love stories of the nineteenth century dead? Or can there be a new story, written for today and alive to the realities of feminism, sexual freedom, prenups, and divorce? I loved this book for a variety of reasons. It was well-written with a blend of humor, empathy, and psychological insight that I found impressive. What Eugenides has done with this novel is perfectly capture the atmosphere of an Ivy League school and it’s alums in the 1980s. In some ways Eugenides mocks the pretentiousness of the Ivy league college environment and forces his characters to face up to the reality of life outside of books. The book is rife with both well-known and obscure literary references. Fiction and literature often blends with the realities of the characters’ lives. Madeline, the protagonist is a romantic with visions of love colored by the books she is studying for her senior thesis. When she leaves the comfort of Brown University, she learns that true love isn’t really the way it is depicted in her books. All the young people featured in the book face similar challenges as they learn to reconcile the ideals of college with the possibilities of the real world. The Marriage Plot is intelligent, fun to read, and covers a variety of themes including relationships, mental illness, and growing up. I liked this book, however, unlike Jen, I didn’t love it. I liked the characters, I liked the storyline, and I liked the ending, despite it being a bit abrupt. The writing is solid and there are some serious issues that are handled well and in heartbreaking detail. The 3 central characters learn about themselves, about life in the real world (the world outside of college), and how life is not what you expect it to be especially when it comes to matters of the heart. I would recommend this to anyone who enjoys a romance story, as well as to those who enjoy classic literature. It is fun playing spot the literary references. As you can see, I liked the book. So why only 3 stars? As you probably already know, sometimes it’s the timing of when you read a book that influences how you feel about it. I read this during a stressful period – in the midst of a home construction project — the first timing problem. The second timing problem was that I read it straight after reading my favourite book of the year and compared to that I found this average, hence the rating. Have you read this book? What did you think? Which one of us do you agree with? Have you read any of his other books? Which ones do you recommend? I agree with your reviews. I think 3 stars is fair. I was underwhelmed by this novel. You agree with book worm then. I loved the book! 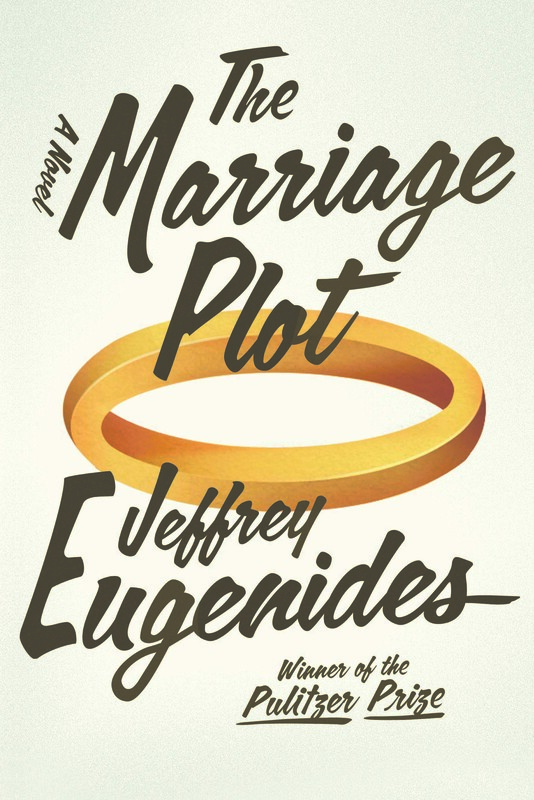 I like the sound of all of Euginides’ novels – but The Marriage Plot is the only one on my shelf because it’s the one I found in mint condition at a secondhand bookshop. Jen’s review makes me believe I’m gonna love The Marriage Plot. Thanks for the review, both of you. Actually, has any of you read The Virgin Suicides or Middlesex? Because I’m thinking of getting them too. Thanks for the reply. I’m thinking of investing in Middlesex also since someone whose taste I trust loved it to bits — plus, I love the sound of the story. It’s great to hear that you are going to spotlight Eugenides next month. Very eager to see what you have to say about him. Not read, but want to. I can’t work out whether I will be a 3 or 5 star person though. Hmm, I’m starting to get a sense of your tastes but I’m not 100% sure yet. Book worm is my book twin (usually) although we have been known to differ occasionally. Yet another to add to your TBR. You need to come back when you’re read one and let us know! I have read this and the Virgin Suicides and they were both 3 star books however I enjoyed this one more. I guess Eugenides is just not my thing they are solidly written books they just lack that certain something to make them a great read at least for me. I’m here, Jen! I loved it, too, as I’ve loved both Middlesex and The Virgin Suicides. It came so close to echoing my college experience, right down to the troubled boyfriend and the Talking Heads.